The basis of the project is their new e-commerce site, through which they offer products like apparel (infant to adult), jewelry, Corksicle drinkware and barware, Yeti coolers and drinkware, unique gifts, home décor, and non-perishable gourmet foods. 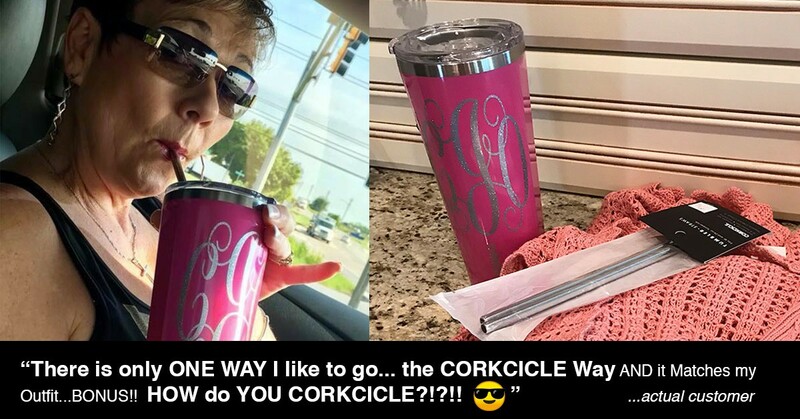 In addition to Corksicle and Yeti, a few other brands offered include Les Georgettes jewelry, and apparel and accessories from labels like Lilly Pulitzer, Kate Spade, MudPie, Simply Noelle. The system tracks all inventory by options (e.g. size, color, flavor) so they never have to worry about selling a product that isn't in inventory. It also provides advanced product options to let customers choose whether they want a product personalized (e.g. personalized with monogramming, laser engraving or decal, the name/initials to be applied, and thread or decal color). That's just the beginning, though! and the ability for customers to purchase a product by commenting on a Facebook post. The Facebook Shop is accessed through a Shop tab on the business' Facebook page. When a visitor sees a product they'd like to buy, they can add it to the cart and pay without ever leaving Facebook. Inventory in the shopping cart system is automatically updated when a sale is made through the Facebook Shop to ensure they never double-sell a product. DI set up a private Facebook group and members get first dibs on products before they hit the brick & mortar shop or online store. 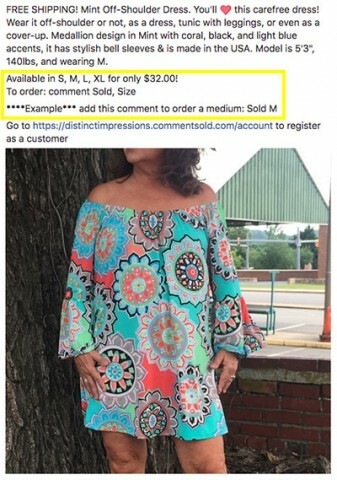 They can buy an item by simply commenting on a post that's been shared to promote a specific item. The shared post tells the color & size options available, and members buy by commenting “Sold Color Size” (e.g. Sold Red Medium) on the relevant post. The comment initiates an invoice from Distinct Impressions' shopping system. If a customer doesn't pay within 6 hours the invoice is voided and the product is returned to inventory. If the product was sold out when someone else tried to buy, the first person on a waitlist is offered the product when the invoice is voided. Customers can opt to get order updates through Facebook Messenger and shoppers in the South Boston, Virginia, area can choose to pick up their order at the brick & mortar store so they don't have to wait for shipping - great for last-minute outfits or gifts! Distinct Impressions is an established successful brick & mortar store with decades of experience. Adding these 3 new revenue streams doesn't just increase profitability while the founders own the business, though. It also increases the business' value and marketability for when they're ready to sell the business for retirement! This is the very topic of my book, Boomer Cashout - Increase Your Business's Value & Marketability to sell for retirement. Have you spent time thinking about how you can use the web to make your businesses more profitable and marketable? Now's the time to do it!